Through life experiences we can sometimes pick up unhelpful baggage that can get in the way of what we want to achieve and sometimes even with conscious effort to overcome, leave us feeling that we are not in control of our life. This may include lack of confidence, self-destructive habits, fears, unexplained anxiety, addictions, separation & social anxiety, suppressed anger, and phobias to name just a few. The result is that these learning’s become destructive and weigh us down interfering with our life’s dreams and impacting our confidence, health, peace of mind and relationships. 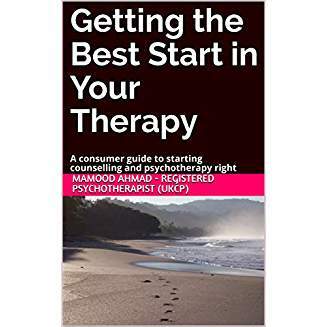 The good news is that through Hypnotherapy combined with psychotherapy and commitment to therapy, these destructive patterns which are deeply embedded into the subconscious, can be reprogrammed to enable you to take back control of your life; the key to this is the perfectly safe and natural use of hypnotic trance and suggestion. Whether you are ready to book a free first session or have any questions you can contact us here. You can compare Hypnosis’ natural and deeply absorbed state to reading a book or watching a film. However, unlike reading a book you would be absorbed to an extent where you may feel you were within the book, but could actually come out of the book if you wanted to ( just like you could if the door bell rang). In hypnosis “suggestions” for exploration of feelings, emotions and desired goals/states are tailored to the individual and become the “script” that focuses the conscious and unconscious mind. It is up to the clients subconscious to determine what would be beneficial, a bit like when reading a book some bits might stick as being inspirational and others not. Hypnosis can magnify and surface insight, inner resources, learnings and desired changes that may not have been apparent previously. What issues can be helped with Hypnotherapy & Mindfulness? Hypnotherapy is especially effective as a treatment for anxiety, quit smoking, healthy weight lifestyle changes, fears, phobias, dysfunctional habits, performance (e.g. exams, sports, public speaking), stress related illnesses, social anxiety, weight management, pain control management and to improve the unpleasant effects of IBS, but there are so many more conditions that Hypnotherapy been used for achieve individual goals. Hypnotherapy can help clients change these ideas with ones that are more rational and useful based on their own needs. Also, many people have what is technically called “social phobia”: shyness, nerves, lack of confidence with people etc. Hypnotherapy is particularly renowned for its effectiveness in assisting sufferers to overcome these distressing and inhibiting conditions. Medical issues can also be dealt with using hypnosis, but this is only undertaken by a physician or under a physician’s referral/supervision. The use of hypnotherapy is supported by the NICE NHS guidelines for Pain management (including childbirth) and IBS. IBS is a bowel related disorder, symptoms include bloating, diarrhea, and constipation. Hypnosis and hypnotherapy can help IBS suffers by reducing stress levels, something commonly cited as a contributary factor in irritable bowel syndrome. A recent study conducted at NHS Withington Hospital Gonsalkorale& Whorwell followed 204 patients for up to six years. Researchers asked patients to score their IBS symptoms, as well as their overall quality of life, and levels of depression and anxiety immediately before hypnotherapy and after the treatment. They also responded to a mailed questionnaire sent at least a year and no more than six years after treatment ended. The hypnotherapy course consisted of 12-weekly, one-hour sessions. Hypnotherapy offers a unique as a form of pain management, utilising senses, feelings and cognitive suggestions to control pain both in acute, chronic and psychogenic causes (i.e. originating in the mind e.g. stress). The use of hypnotherapy in pain control has has been backed by evidence over hundreds of years and is the most evidential approach to pain control of all the psychotherapies. There are many reasons why people may put on weight, and a properly trained hypnotherapist will be able to work with the individual to bring about changes in eating and activity habits in order to bring weight under control. One of the key reasons for “weight loss” programmes being often only temporarily effective is that the person feels that they are missing out. This need not apply with a hypnotherapeutic approach.